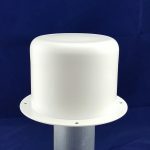 MSC omnidirectional antennas are a rugged and robust design. Many interfaces are available. 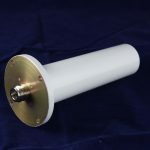 Microwave Specialty manufactures a line of high power flight termination and range safety omnidirectional antennas. 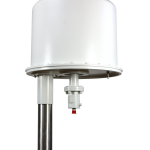 MSC high power omni antennas can withstand levels up to 12 kW continuous. Each antenna comes sealed in a weather proof radome. Many mounting configurations are available. “Donut” and hemispherical patterns are also available.